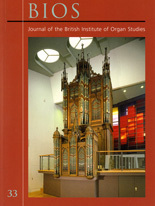 The Historic Organ Listing Scheme was conceived because the heritage value of an organ may not be the same as the heritage value of the building in which it is placed. Thus an architecturally important building might contain a relatively modern organ or a lower-grade building an organ of first-rate importance. Following an earlier pilot and receipt of encouragement from the Government and from English Heritage, the scheme is now being rolled out nationally. In the wider public interest, such national listing is only given after careful and authoritative evaluation by a specialist committee of the heritage value of the candidate instrument in its existing context. When a listing is approved, the custodians of the church or other building housing the organ receive a formal certificate as a mark of the importance of that organ to the nation's heritage. The award helps to raise the profile of the instrument in the eyes of its guardians and 'flags' it as one deserving respect by future generations. A number of grant-giving bodies now use a listing as a help in deciding grant-worthiness. This listing scheme conforms with the existing statutory provision for the listing of historic buildings. It replaces the earlier scheme for the award of ungraded Historic Organ Certificates. 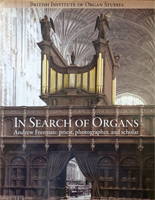 Organs with ungraded certificates are being reassessed over time for the award of an an appropriate grade but the existing certificates remain important indicators of historic value. It should be noted that it has not been practical to assess the entire stock of over 40,000 organs in the United Kingdom immediately, so listing coverage is at present incomplete. - Grade I for an organ of exceptional interest. 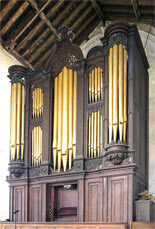 - Grade II* for particularly important organs of more than special interest. - Grade II for organs of special interest, warranting every effort to preserve them. Listing Decision Appeals A listing decision appeal will normally involve an inspection (typically by a committee member plus an independent organ builder) and a charge will be made to cover the costs. However no charge will be made if the applicant is content to accept a decision without an inspection and on on the basis of further representations by the applicant.